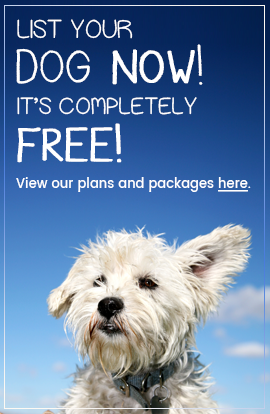 Placing the Advert - Once you, and your vet, are happy that your puppies are healthy and thriving well, you are ready to advertise. See List Your Puppies, and follow the simple steps to advertise your puppies online. Interviewing Potential New Owners - A responsible breeder will vet potential new owners thoroughly. Don't be afraid to ask questions. Find out where they live, what they do, whether they want a pet or a working dog and whether they have young children or other pets that your particular breed is not compatible with (see Breed Profiles). Some clients may take offence to an interrogation, so try and be tactful and explain your reasons for asking. You want to know the situation that prospective new owners are in now, not what they hope to be doing next month. For example, if they live in a flat now, but hope to move soon, the chances are that they will be in a flat for a lot longer than they anticipate. Also, any prospective new owners that ask you to housetrain the puppy for them are already showing signs of not being dedicated to their new responsibility. Prospective new owners should have done their homework too. Check that they know about the breed and how to care for a puppy, as well as an adult dog! Make sure you are satisfied that the new home you are giving your puppies will be a caring one. If it doesn't work out, there is a good chance that the puppy will come back to you later. When you are satisfied that you have found a suitable home, take a deposit of 20% of the selling price. You can tell the new owners that this is a requirement when you make the appointment over the phone. This will deter non-serious purchasers. Once a deposit has been received make a date for the collection of the puppy. If the purchasers live locally they may want to come back and visit again before the collection date, especially if they have children. They will probably give the puppy a name that you can begin to use. If the collection date passes with no contact from the new owners and no response to your attempts to contact them, it is acceptable for you to re-advertise and re-home the puppy after two weeks and still retain the deposit. Preparing the Puppies - It is your responsibility to make sure the puppies are ready to go to their new home. This means weaning, inoculating, worming and socialising. See Caring for the litter. Puppies should be seen by potential new owners at about four weeks old and ready to go to their new homes at eight weeks old, this is considered the optimum time for the puppies to adjust to new surroundings. Make sure you discuss the puppies diet and exercise routine with the new owners. It is important that any changes in these areas are made gradually. If the new owners are going to feed a particular food at a particular time, try to incorporate the new food and routine with your routine. This will prevent stomach upsets and digestion problems. 0ngoing Support - Like with 'after sales care' the new owners need to be able to come back to you with any queries. This could be information about the breed or information regarding the genetic history of the puppy. Advise the new owners that the puppy must be seen by a vet within the first few days of ownership. The puppy should, of course, be healthy. But this will give you, and the new owners, peace of mind. Put a time limit on returning puppies for a refund, although there is no law stating that you have to give a refund. However, the new owners believe that they are purchasing a healthy puppy, so if the veterinary examination proves otherwise, it is only fair that you take responsibility. You may have a puppy returned to you at a much later date, this is mostly due to a change in the owner's lifestyle, or similar. It is not reasonable for the owners to expect a refund in this case, but it is reasonable for you to request a contribution towards food and advertising for a new home. REMEMBER - It is your responsibility as a responsible breeder to keep the puppy's best interest a priority.